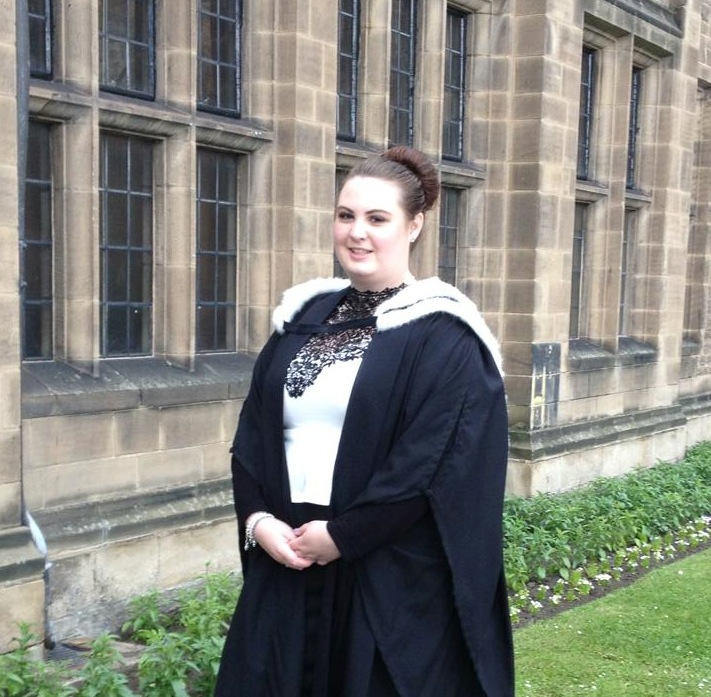 So here I am, finally a graduate of Criminology. 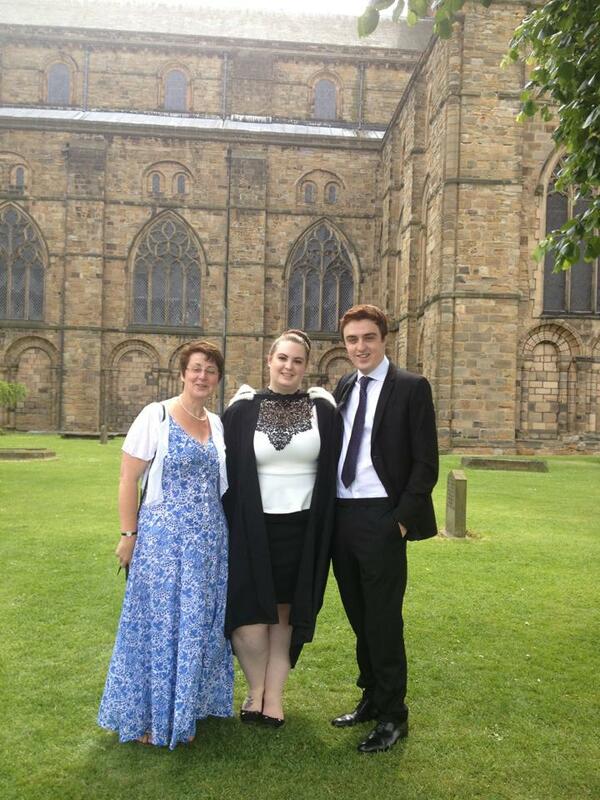 Call me Louise Katherine Williams BA (Hons) Dunelm if you wish...! (What a mouthful!). I had a super fun day with my brother, my mama and J, and then ended up out on the town with some chums. Here's one of those pics I'd hang in my office, if ever I were to get my own office! Durham University is steeped in tradition, the graduation ceremony is called Congregation, there are maces, all manner of crazy caps and hats and people representative of the university and the cathedral who lead the procession of graduands from the Castle (which is one of the university's colleges) and through to the Cathedral. Our robes for Bachelor of Arts are a white fur lined hood, and the official colour of Durham, Palatinate Purple is included wherever it possibly can be! 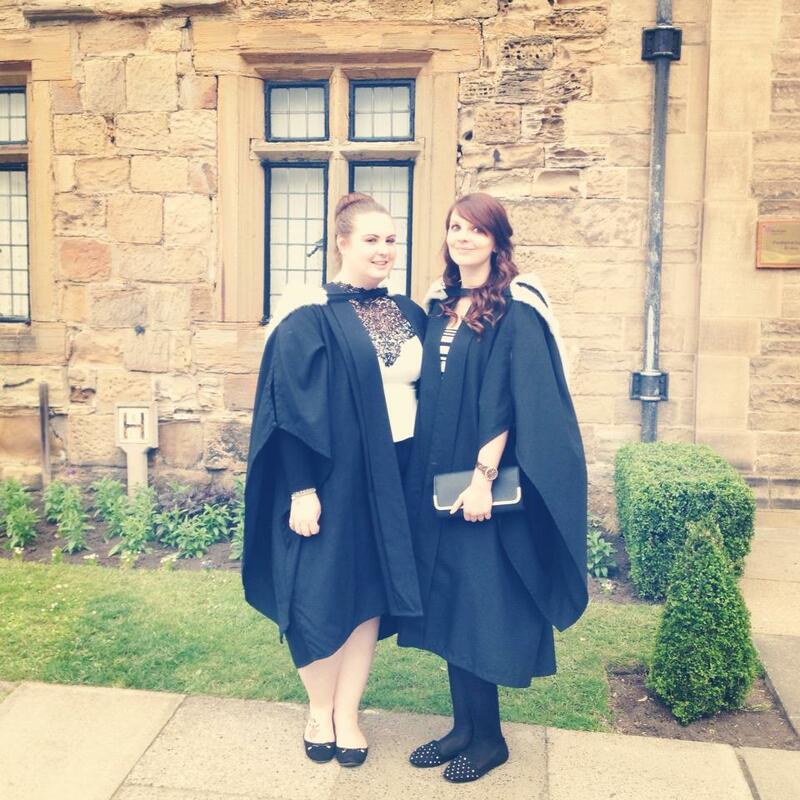 We also do not wear mortar boards, I don't know why, but it meant that I could have a fancy updo on the day. My dress is from Quiz. My actual day for Congregation, Wednesday the 26th of June at 4pm, began rather lazily by rolling out of bed and dashing to Tesco in search of a white bra (well done me for not bringing one!) and some pain au chocolat before J and I walked down the road to go and meet my Mum and brother in their hotel. We then got the bus into the city and made our way to Palace Green by the Cathedral (via Greggs!) to collect my tickets and robes and spent lots of time taking many pictures. 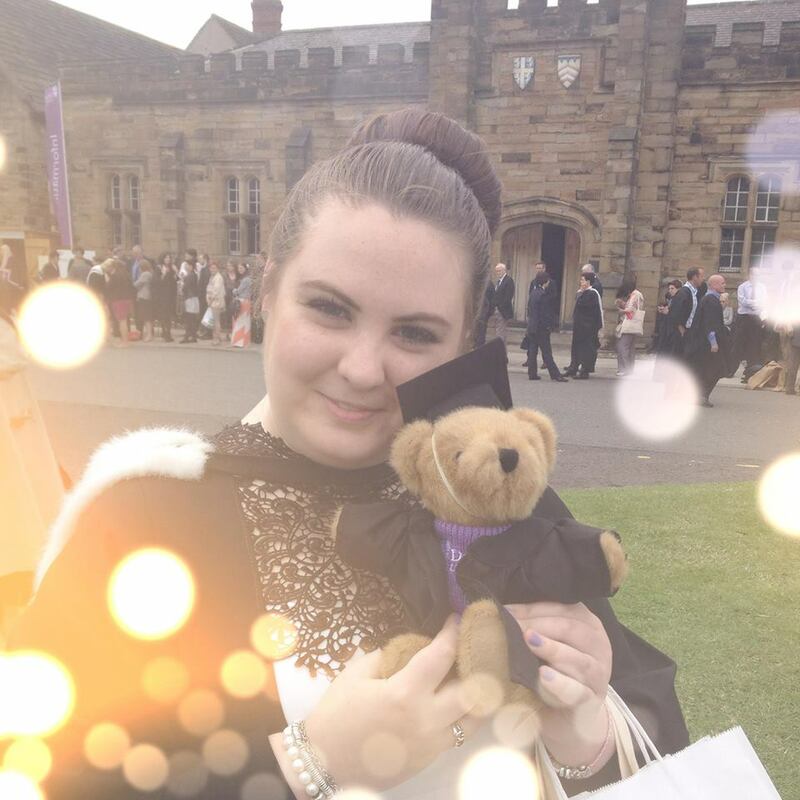 My mama then bought a graduation bear that we've named Cuthbert (St Cuthbert has particular significance with Durham and its Cathedral). I then had to leave my guests and make my way into the Castle to be sorted into the correct position for the procession, and we meandered through waiting guests to take our seats in the Cathedral. (It was so hot. Everyone dressed in fur and practically sitting on top of each other made for an uncomfortable hour!) The ceremony was rather motivational, and again steeped in tradition. We all lined up one by one to shake the chancellor's hand and made our way back to our seats and then we processed down the middle of the nave and back outside to wait for our families. My Crim Chummy Laura and I :) She also has a blog, go and say hi! congrat! just graduated as well so I know how you feel! Congratulations Chummy BA (Hons) Dunelm! You pulled off the furry hood well! Congratulations! You've gotta love all of the bizarre old traditions at these archaic universities. I still miss the fact that I no longer regularly wear a gown anymore and that in the 'real world' they're not considered to be part of a standard evening's going out outfit!